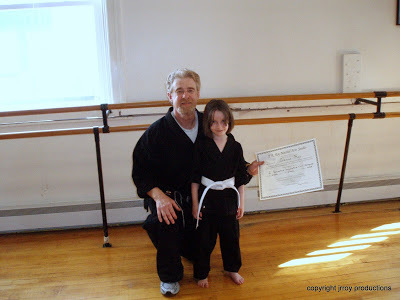 This post is an amazing story about JG, the1st degree Brown Belt Karate-Do student above, who is practicing defensive Hook Kicks against the stretching bar.JG has studied at JRRMAS since he was a very small child. He has just successfully completed his first year at Deerfield Academy. He was also fortunate to get job at DA this summer as a life guard for the DA pool. Now for the ‘amazing’ part; Last week was JG’s second week as a life guard. He was guarding a 6th grade class swimming in the DA pool. All of a sudden he notices a 6th grader sinking below the surface. Much to JG’s amazement the 6th grader was sinking below the surface without struggling at all! Simply sinking below the surface with limbs limp and the boy was taking water into his lungs. In that very instant of recognition…..Without panicking……or freezing….JG leaped into action and saved the boy’s life. Wow….Amazing!I only hope that the years of training at JRRMAS contributed in some small way to JG acting decisively in that moment of crisis. 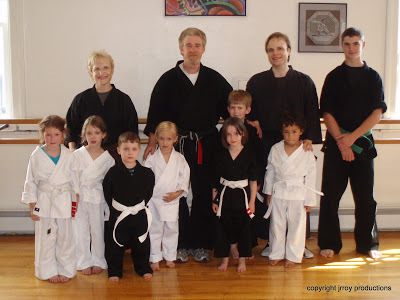 Correct Martial Arts training is not merely designed to kick and punch others in self-defense but is more accurately designed to give the practitioner that little bit extra that one needs in such a crisis situation. JG’s ability to use the Life Guard Training, the confidence in his own abilities to swim and help others, that enabled him to act decisively, instead of freezing or panicking! You never know if the training is going to pay off until push comes to shove. 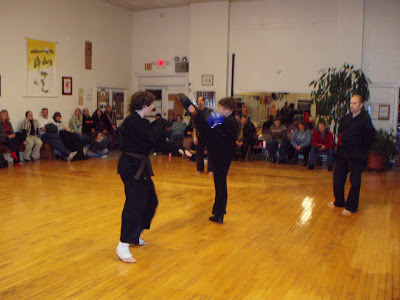 Lesson 1:In Martial Arts it’s moments of crisis…that the training is designed to prepare you for….So that you…Don’t FREEZE!Don’t PANIC!So that you are able to ACT,able to stay CALM, to stay CENTERED and feel STRONG and CAPABLE….. So that you may act immediately and decisively!In a crisis…Yours or someone else’s life may depend upon your ability to…… act! !SifuJG ….All of us at JRRMAS are very proud of you……That SAVE was the ‘real deal’. Bravo from Sifu!! Well…I had much difficulty posting today…three failed attempts to upload other videos and 4 hours later, I finally got this one to upload…whew!Lesson 1:The Side Kick is a very powerful kick indeed… it uses two joints, the hip and the knee, unfolding, as in rising from a squat!Initially you when you step up, make sure your supporting foot is pivoted!Then, the best method is to……jump in and….. ‘replace the foot’ To advance, drive the rear knee up,while in the air,drive the kicking knee up,simultaneously land with supporting foot pivoted and kicking foot landing on targetThe advance, the landing and the kick…….. all in one beat!Lesson 2:Remember to drive your kicking knee up highthen, kick from your hip, using your gluts to power-up the kick!Your kicking leg should be straight ‘in line’ with your hip and supporting footMuscle lock the knee …do not lock the bones!Be aware of the ‘Line of Power’!Your supporting foots heel and your kicking foots heel and all that is in between form “One Line” Remember, to keep your balance after the kick has landed and return to a well balanced and defend able position with your hands up! Harvard Health Publications calls T’ai-Chi “Medication in Motion”! Tai chi is easy to learn and you can get started even if you aren’t in top shape or the best of health. In this low-impact, slow-motion exercise, you go without pausing through a series of motions named for animal actions or martial arts moves. As you move, you breathe deeply and naturally, focusing your attention — as in some kinds of meditation — on your bodily sensations. Tai chi differs from other types of exercise in several ways. The movements are never forced, the muscles are relaxed rather than tensed, the joints are not fully extended or bent, and connective tissues are not stretched. Tai chi can be easily adapted for anyone, from the most fit to people confined to wheelchairs or recovering from surgery. A tai chi class might include these parts:Warm-up. Easy motions, such as shoulder circles, turning the head from side to side, or rocking back and forth, help you to loosen your muscles and joints and focus on your breath and body. Short forms — forms are sets of movements — may include a dozen or fewer movements; long forms may include hundreds. Different styles require smaller or larger movements. A short form with smaller, slower movements is usually recommended at the beginning, especially if you’re older or not in good condition. Translated as “breath work” or “energy work,” this consists of a few minutes of gentle breathing sometimes combined with movement. The idea is to help relax the mind and mobilize the body’s energy. Qigong may be practiced standing, sitting, or lying down. Women in the 2006 Stanford study significantly boosted upper- and lower-body flexibility as well as strength. Tai chi improves balance and, according to some studies, reduces falls. — the ability to sense the position of one’s body in space — declines with age. Tai chi helps train this sense, which is a function of sensory neurons in the inner ear and stretch receptors in the muscles and ligaments. Tai chi also improves muscle strength and flexibility, which makes it easier to recover from a stumble. Depending on the speed and size of the movements, tai chi can provide some aerobic benefits. But in the Japanese study, only participants assigned to brisk walking gained much aerobic fitness. If your clinician advises a more intense cardio workout with a higher heart rate than tai chi can offer, you may need something more aerobic as well. For more information on the health benefits of exercise, order our Special Health Report, Exercise: A program you can live with, at www.health.harvard.edu/E. Students sparring at a recent Belt Testing. TP shows good kicking form during the match. Master J. R. Roy (Sifu) will be presenting a “Special” blend of material that will include empty hand and weapons training for skill development and sensitivity training. He will be teach techniques and drills to help your internal energy cultivation and energy release (Fa Jing) with a “Special” training sequence and auxiliry drills. He will also be teaching a blend of joint locks, disarms, baiting and set ups. This Seminar is appropriate for students at all levels of development, from beginner to the more advanced and for students from any art, external and internal. Email me to sign up…..today!